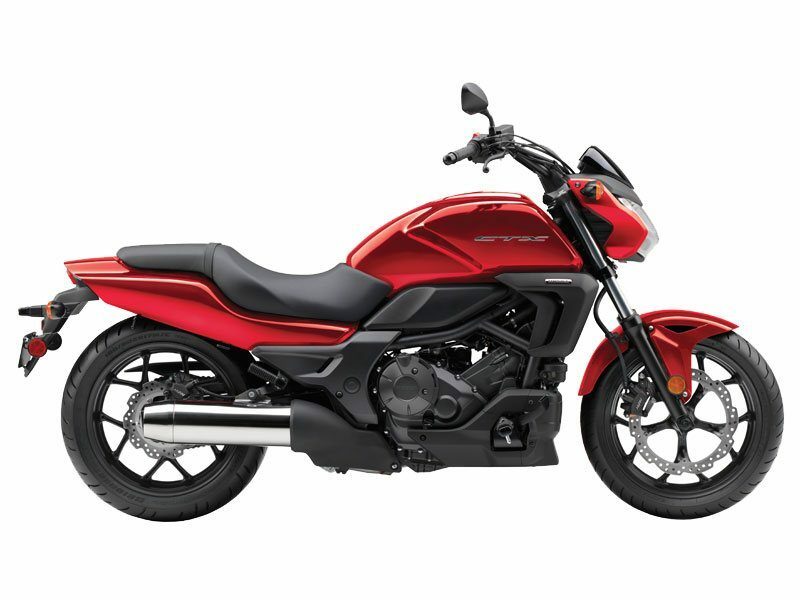 Part of the new CTX® series, the CTX700N offers a laid-back riding position with more forward-set hand controls and footpegs, and a low 28.3-inch seat height. With its cylinders tipped 62 degrees forward for better weight distribution, the CTX700N's engine is a big step forward in modern powerplant design. The two-cylinder format produces tons of low- and mid-range torque, and the 270-degree-phase crank and uniaxial primary balancer make it smooth, too. Light, strong, and with just the right amount of stiffness, the CTX700N's rigid and compact chassis is the foundation for precise handling. Honda's. Electronic Fuel Injection means easy startups on cold mornings and flawless running even at high elevations. Single front and rear disc brakes give the CTX700N great stopping power. The ABS option incorporates a Anti-lock brakes for the best possible stopping power, especially under challenging conditions. The new CTX700N offers a convenient utility compartment that's in the fuel-tank area, making it easy to reach. 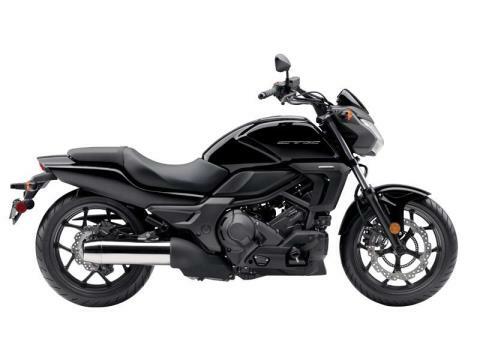 The CTX700N's low center of gravity makes for a more confidence inspiring, all-around riding experience. With a seat height of just 28.3 inches, the new CTX700N is confidence-inspiring and comfortable. Combine that with the forward-set controls, and it's easy to flat-foot it at stoplights or in parking lots. Offering 4.3 inches of rear-wheel travel and teamed with a Honda Multi-Action System rear shock, the CTX700N eats up rough pavement while giving you a smoother ride.